Saturday, our church team left just as Mexico was playing Brazil for the Olympic gold medal in men’s soccer. With due apologies to any Brazilians or their friends, Mexico dominated. The 2-1 final score was much closer than the match felt. What fun to see Mexico’s joy–a victory in a major tournament in the country’s favorite sport. At church on Sunday, one person even said that he never thought he’d live to see the day. (As Mariners fans, we relate.) This joyous victory was a fitting end to a great week. The week was the culmination of a very busy summer, as our church team did so many good things, building on the work of others here this summer. Besides the VBS they also served a neighboring widow, painting her house. But to save space, we’ll focus on the VBS. We’re somewhat skeptical about using numbers to evaluate success in ministry. They have their place, but don’t ever tell the whole story. But we do have good numbers after this week. One BIG number is about 750…photos from the week. FBUP is a picture-taking church! We’ll post a link to those soon! But we have good attendance numbers, starting with 50 kids and building to 63 the last day. We had a good number of kids–12-20, probably, profess faith in Christ. And we have about 15 families requesting Bible studies. That’s the number we’re most encouraged about. Our prayer and plan this summer was to build relationships with families in a faithful, visible way so that they would want to study the Bible. Our prayer request to you just last week was for 3-5 families to ask for a study. So God has answered prayers above and beyond what we asked. Thank you! Now, as Pastor Stacey told us, the real work begins, disciple-making. We obviously have a ton of follow-up work to do with families and kids. So Sunday we met with our team-in-formation, three families and some single guys, to talk over the possibilities and start working out a plan of action. We are very excited about working with these leaders. In the next couple weeks we’ll be setting up Bible studies and forming a schedule that works for all of us. School starts next week, adding to the general craziness of this time. Our hope is to lead the 15 requesting families through a short 4-week study that introduces people to the larger scope of the Gospel in the Bible: God in Creation, fallen humanity, Jesus the Savior, and a new life. If that sounds familiar, it’s what we led the kids through last week. From there, we hope to continue in another study with those who remain interested. These are exciting times! All week long we had police watching us. We asked for prayer for the logistics of sharing the hall with the police and we are thankful that everything went well. In fact it went great! Many listened to us and asked questions. Believers among them encouraged us. We shared snacks with them and they shared tacos with us! On Thursday night we showed the movie Courageous to 60-70 who were resting there. In doing that we met a high-up police commander who is a believer–an encouraging contact for both parties. We had several good conversations with officers that night. Yesterday Eddie was able to take New Testaments and tracts up to the police. So this has been a good opportunity. In short, have you picked up that God answered prayers this last week? So many of the requests we shared with you were answered in a positive way. This has been a year of answered prayers. We’ve seen preemie babies live, several very sick people recover, many small details answered, and now this last week. God is a good God and He hears our prayers. Keep praying! Give thanks! 1. Answered prayer: logistics of the hall-sharing with police were very smooth. 2. Answered prayer: 15 families are interested in Bible studies! 3. 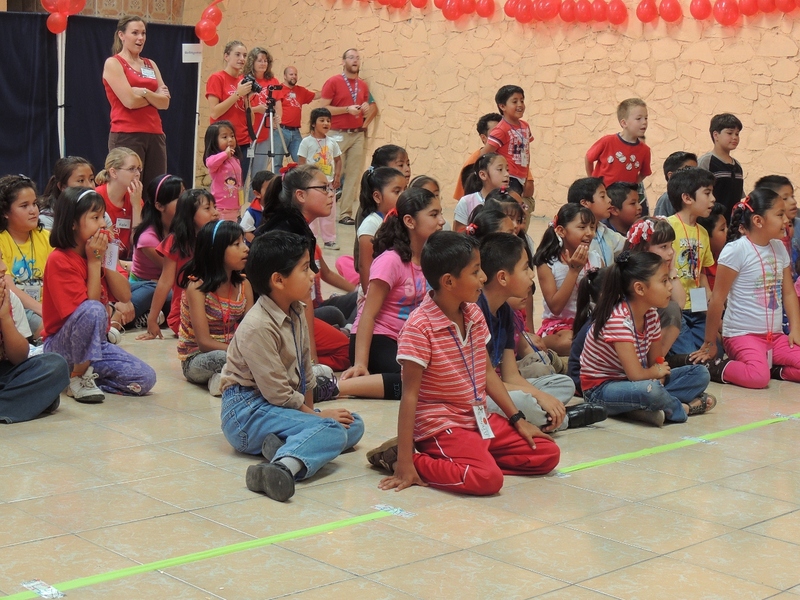 Answered prayer: kids made decisions for Christ, the team had a safe time, VBS was great! 4. 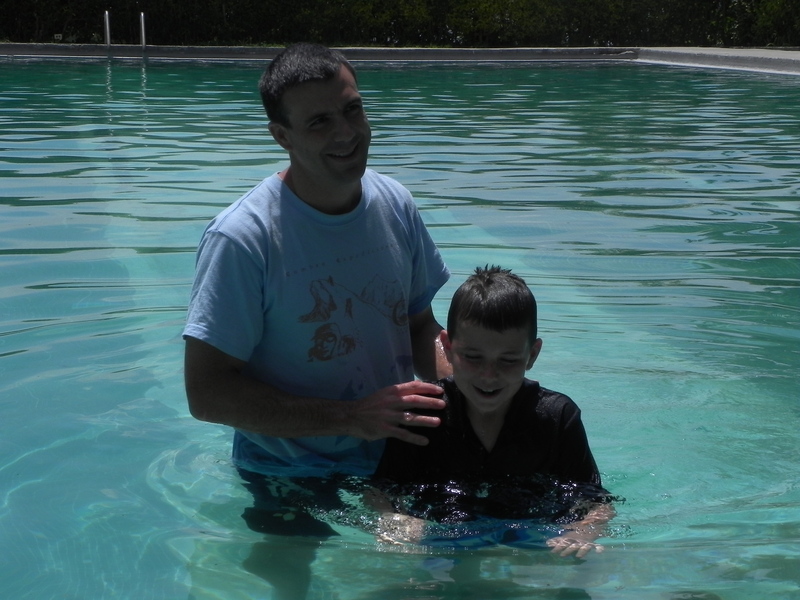 Drew followed the Lord in baptism last Sunday! Click here for details. 1. Pray for the kids who made professions of faith, that we’d continue to see them and see fruit in their lives. 2. Pray for the families that asked for Bible studies, that there would be real commitment. 3. Pray for the continued formation of a leadership team as we start the studies. Pray for God to raise up a Mexican pastor out of this group. Again, we hold up God’s work here to you as evidence that GOD answers prayer! Your prayer! Keep it up, we ask. Thank you! This entry was written on August 18th, 2012 by Tim and filed under Prayer letters. does “awaiting moderation” mean the comments of me (David Quey) are not seen by anyone without your initiative? Uh, hey, David, I just saw these comments. We’ve been a little disconnected for a while. But busy in ministry here! Yeah, unless/until I approve the comment, no one sees them.